Collection Privée Quelques Fleurs L'Original Royal is een arme bloemige gourmand geur met : zwarte bessen, grapefruit, jasmijn, viooltjes, tuberose, rozen, sandalwood, cedarwood, vanille en musk. 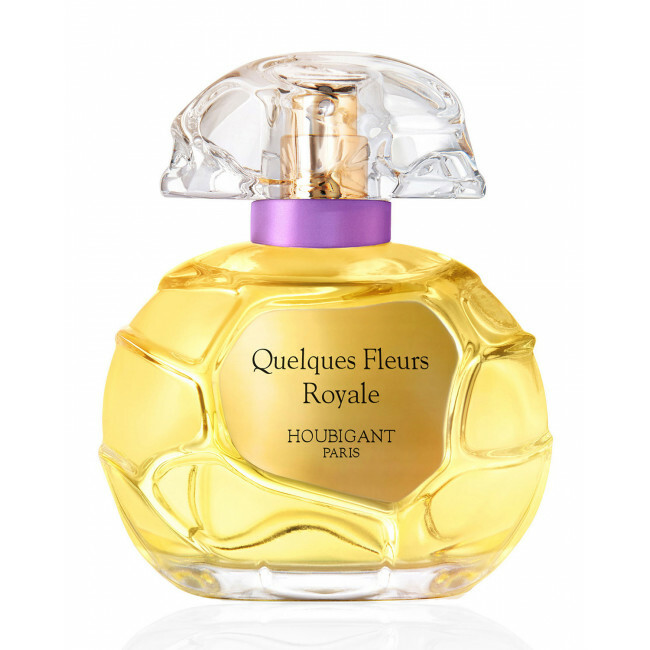 Introduced in 2004, Quelques Fleurs Royale by Houbigant perfume offers key notes from the legendary Quelques Fleurs bouquet, and takes its name from its aristocratic history. The scent has fresh, sparkling top notes of Sicilian bergamot and grapefruit, mixed with heart notes of Egyptian jasmine, Moroccan rose and Indian tuberose warmed by hints of white acacia honey. It comes in a pink classic bottle of sculptured petals in a frosted and clear French glass.